iHeart aka I♥ is a Canadian street artist who uses graffiti as a vehicle to voice his opinion on social issues. 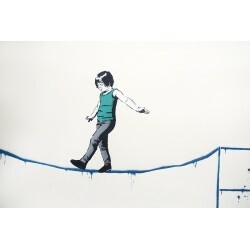 His art is focused on stenciling city walls with his heart-shaped symbol in many works. iHeart describes himself as a “just a boy with ideas, opinions and a whole lot of aerosol”. 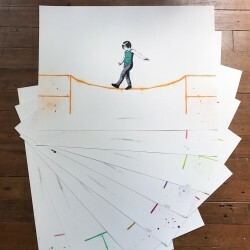 He created a series of graffiti stencils through which he tries to highlight the negative influence of social media on the growing youth, alienating people instead of bringing them closer. 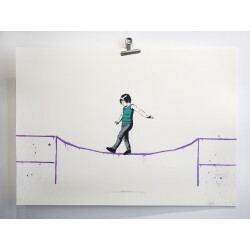 The artist is just as elusive as famous British artist Banksy, who has transformed his artwork from acts of vandalism to sought-after high art pieces. 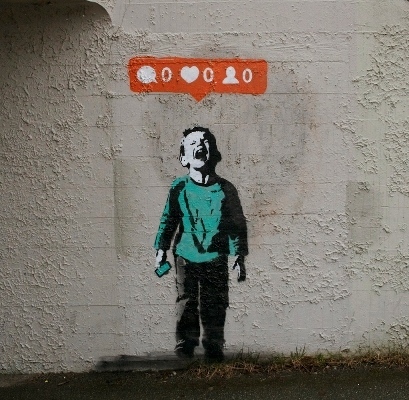 Either way, he became instantly recognizable artist with his piece “Nobody Likes Me” located in Stanley Park, Vancouver. The work depicts a boy who’s sad and dissatisfied with the fact that he has zero likes, mentions and followers on his Instagram account. 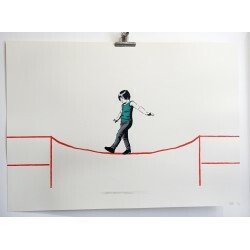 This artwork has gained worldwide attention online, including from Banksy, one of the street art world’s biggest names. iHeart received an endorsement from Banksy through his Facebook page. It went viral almost instantly – within only a day, the photo on Banksy’s Facebook page has clocked 117,000 likes and 13,500 shares! “There’s almost too much irony that happened with this piece. Posting it on Instagram, Facebook, my website, and Twitter, then it going viral. Basically the idea behind the piece completely backfired”. iHeart never wanted fame, considering the celebrity he enjoys now “overwhelming and awkward”. Grand finale came when the piece has been named the second most popular mural in the world for 2014 by London-based StreetArtNews. 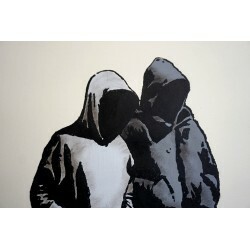 Of course, the most popular piece in the world at the time was by, you’re guessing, the famous graffiti artist Banksy. IHEART There are 5 products.